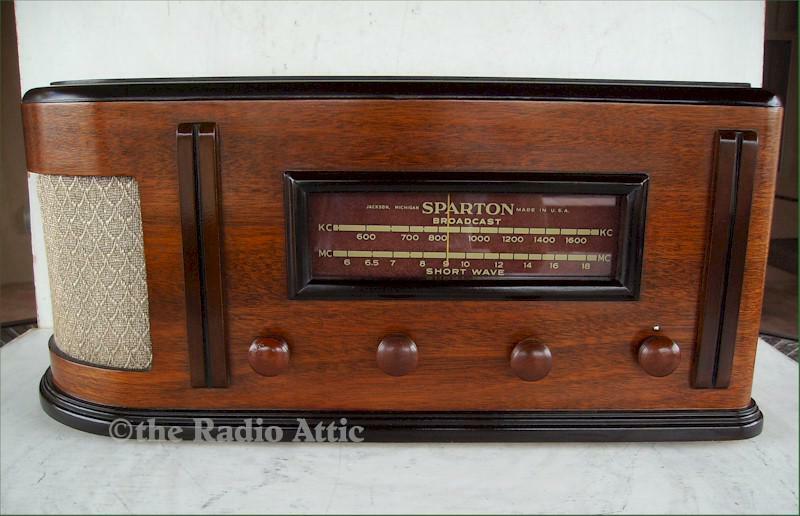 This 1948 sparton has been refinished, but retains the original grille cloth and knobs. This is extra clean, complete and all original. The chassis has been restored and plays great. A great example of radio styling during the post-War era. Ready for display in your collection. 19-1/2"W x 9"H x 8"D.